Adjusts steering to help you keep centered in a detected lane. ACC cannot detect all objects ahead and may not detect a given object; accuracy will vary based on weather, speed and other factors. ACC should not be used in heavy traffic, poor weather or on winding roads. The driver remains responsible to slow or stop the vehicle to avoid a collision. Adjusts steering and braking if you cross detected lanes without signaling. Applies brake pressure when an unavoidable collision is determined. only alerts drivers when lane drift is detected without a turn signal in use. LDW may not detect all lane markings or lane departures; accuracy will vary based on weather, speed and road condition. System operation affected by extreme interior heat. Driver remains responsible for safely operating vehicle and avoiding collisions. LDW can detect unindicated lane departures from detected lanes. Alerts will flash and sound to help bring your attention to correcting the lane drift. cannot detect all objects ahead and may not detect a given object; accuracy will vary based on weather, speed and other factors. System operation affected by extreme interior heat. FCW does not include a braking function. Driver remains responsible for safely operating vehicle and avoiding collisions. FCW uses a camera on the windshield to detect vehicles in front of you, activating audio and visual alerts to warn you if you are at risk of a collision. 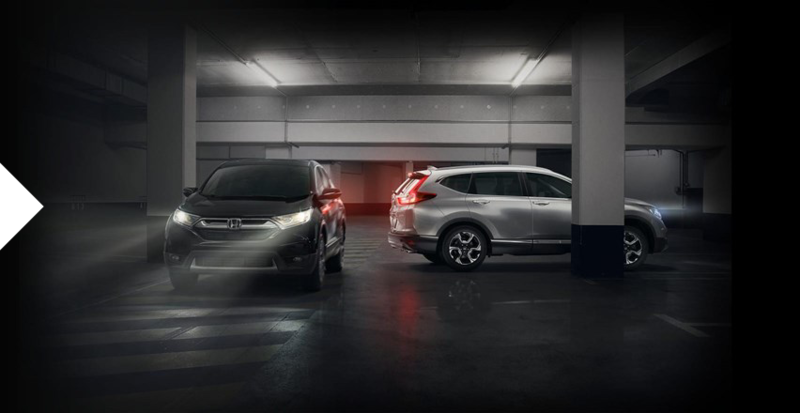 Learn about a few additional Honda Sensing® features designed to help you be a better driver. Honda LaneWatch™ display accuracy will vary based on weather, size of object and speed, and the display may not show all relevant traffic. The display is not a substitute for your own direct visual assessment of traffic conditions before changing lanes. 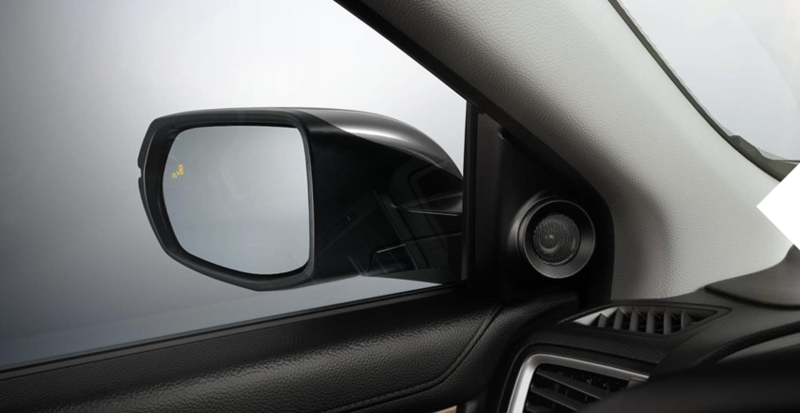 With Honda LaneWatch™, any time you signal right, the camera on the passenger-side mirror will turn on and display live video on your Display Audio Touch-Screen, revealing nearly four times more than the average passenger-side mirror. Available on select 2017 and 2018 models. 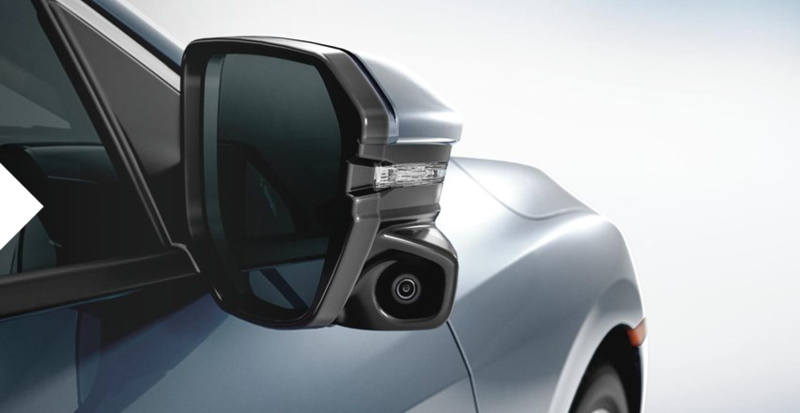 Blind Spot Information System is not a substitute for your own visual assessment before changing lanes. BSIS may not detect all objects behind or to the side of a vehicle and may not detect a given object; system accuracy will vary based on weather, size of object, and speed. Driver remains responsible for safely operating vehicle and avoiding collisions. When your turn signal is on and a vehicle is detected in an adjacent lane, the indicator blinks and a beep sounds until the area is clear or the turn signal is off. Cross Traffic Monitor (CTM) always visually confirm that it is safe to drive before backing up, as the CTM may not provide complete information about conditions at the rear of your vehicle. Monitor cannot detect all objects behind or to the side of a vehicle and may not detect a given object; system accuracy will vary based on weather, size of object, and speed. Driver remains responsible for safely operating vehicle and avoiding collisions. 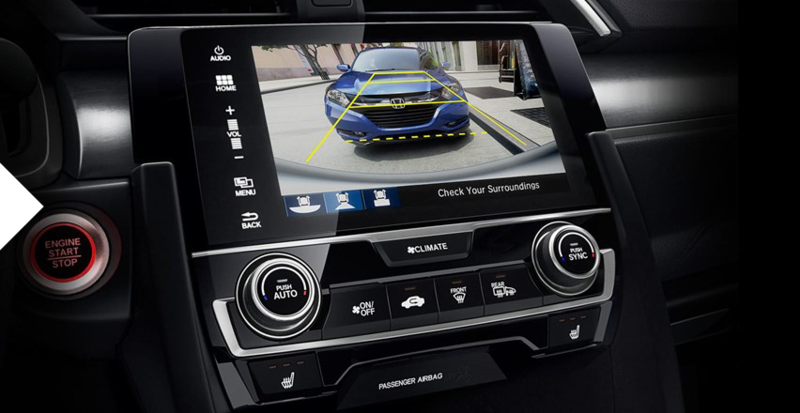 When in reverse with the Multi-Angle Rearview Camera in any viewing mode, the driver is alerted to a detected vehicle approaching from the side with a series of beeps and indicators shown on the camera’s display. 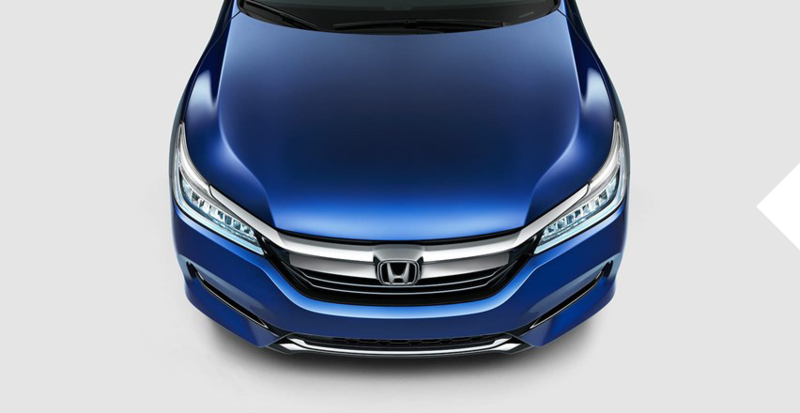 When you are driving at night above 25 mph (40 km/h) and the headlight lever is in the low-beam position with the switch rotated to AUTO, the system intuitively changes between low and high beams depending on surrounding conditions. Choose from three different angles — normal, top-down and wide — to get a better view of what’s behind you every time you shift into reverse.